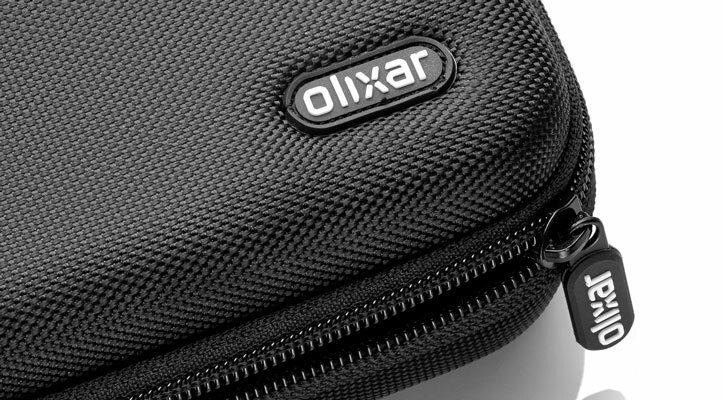 Introducing the perfect travel companion. 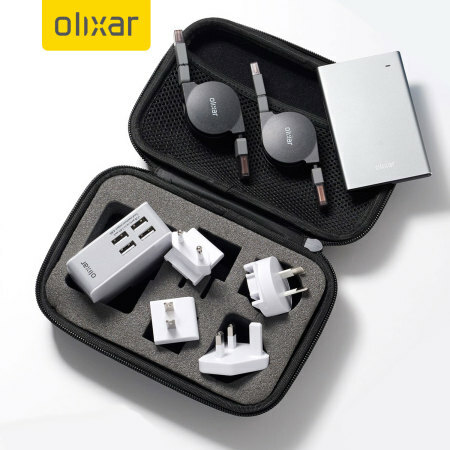 This 4-in-1 charging accessory kit with case is perfect for ensuring your devices are fully charged wherever you may go featuring a mains USB travel adapter, power bank and two non-tangle retractable cables. 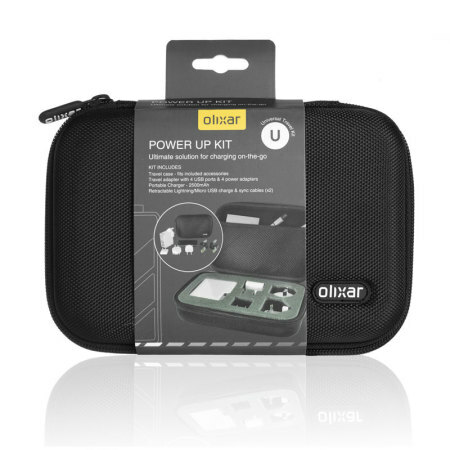 Olixar Power Up Kit 4 in 1. 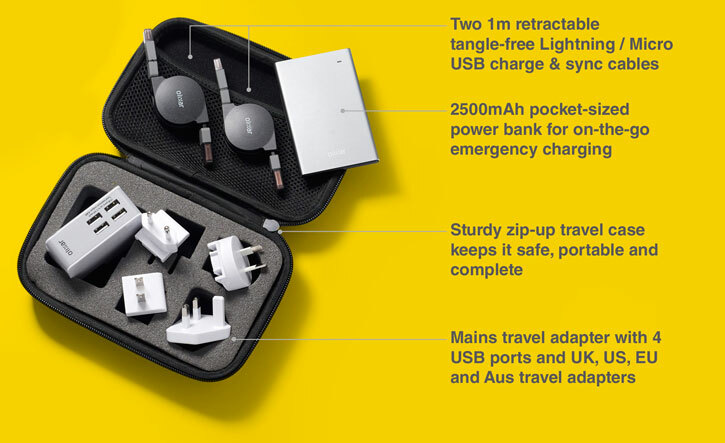 Bought this charger kit for when on business travels. 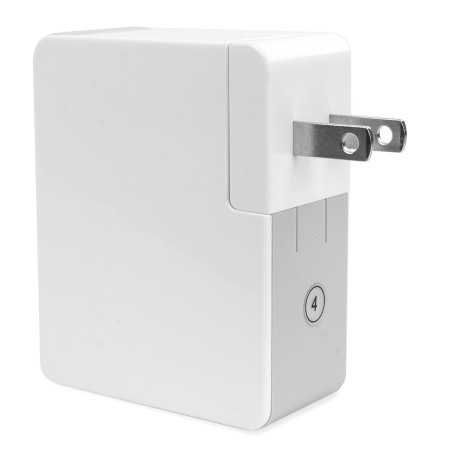 iPhone, iPad and watch need charging and usually have only one socket in rooms. 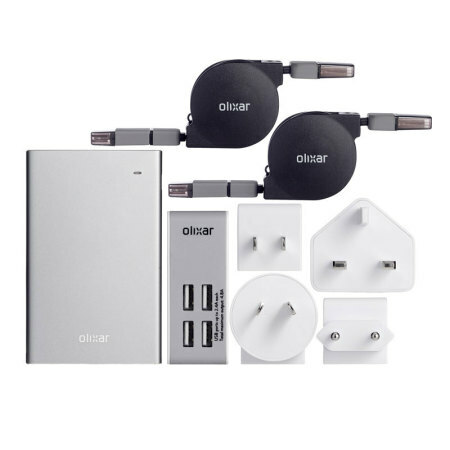 Comes with all the bits you need, also with travel adapters so no issue when abroad. Handy battery device so I can top up phone if getting low. (Useful in airports when delayed for hours). Best feature is the carry box so you don't lose any parts. 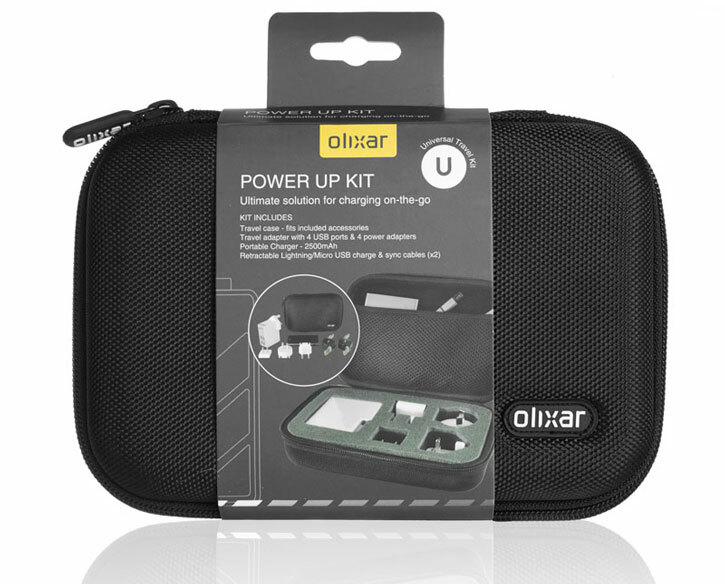 Never be without power again with the Olixar Power Up Kit. 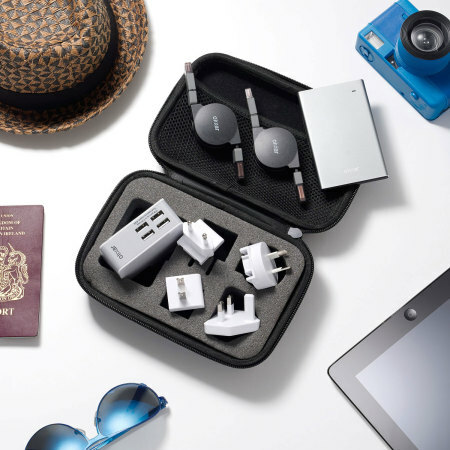 A 4-in-1 charging pack that includes everything you need to charge at home, on journeys or even around the world. 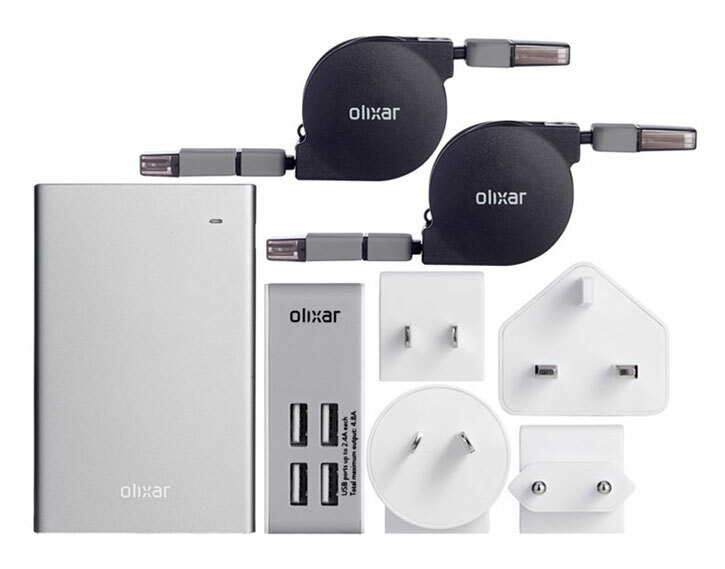 The Olixar Travel Adapter is the perfect travel companion, to ensure all of your mobile devices are fully charged when you need them the most. 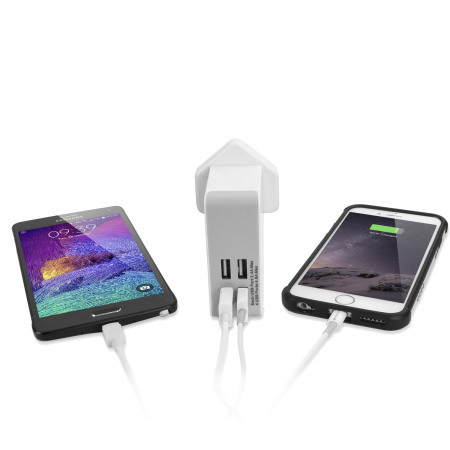 With the 4 built-in USB ports, this accessory is also ideal for home use! 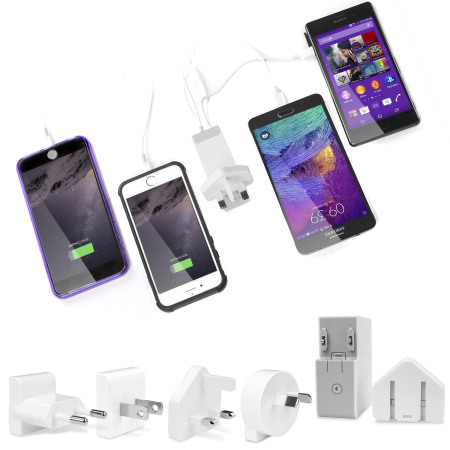 Using just one mains power socket, you can charge up to 4 devices at the same time. 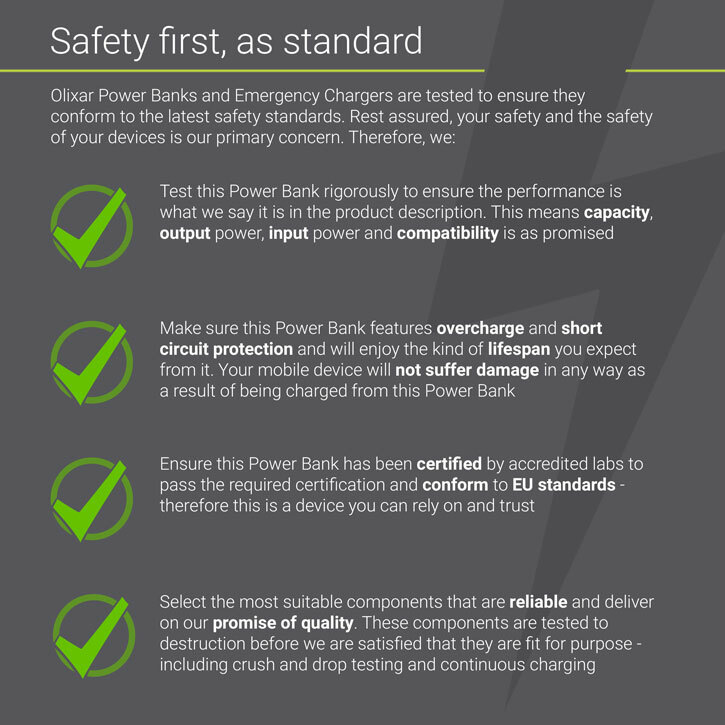 With a powerful 4.8A total power output (up to 2.4A per USB port) and with Smart IC technology automatically identifying the device, your phone and tablet will quickly charge back up to full capacity so you are back in action once more. 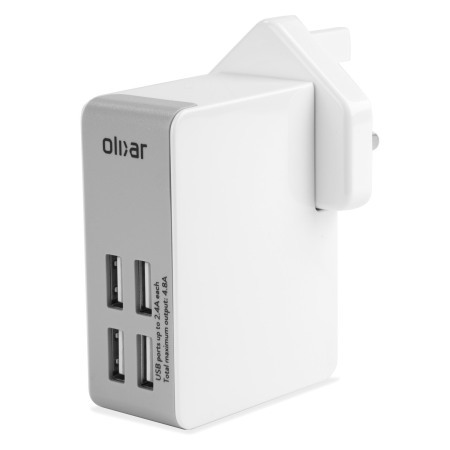 With EU, US, US and UK adapters, the Olixar Mains Travel Adapter is compatible for use in over 150 countries! 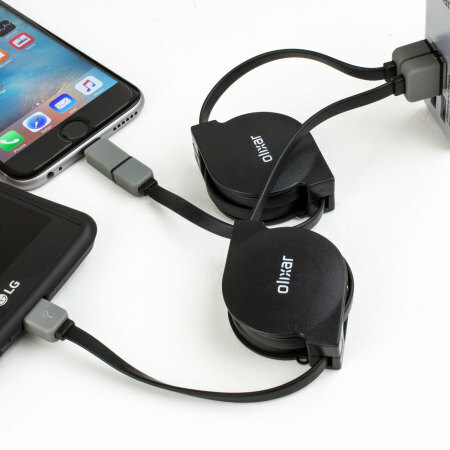 No need for a mains power supply, simply connect your phone to the power bank's built-in Micro USB or Lightning connector and ensure your device is ready for action wherever you are. 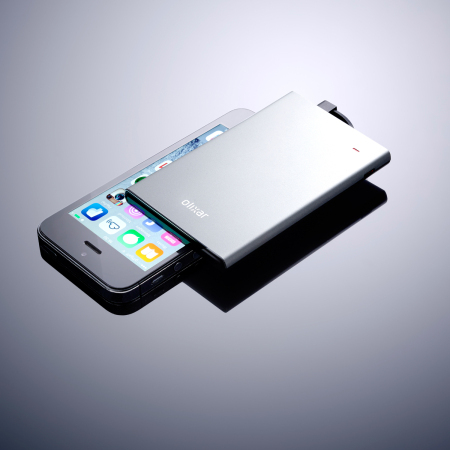 Make a phone call, surf the web, check your email and send a text message in the secure knowledge that if your phone battery is low, you can boost the power with your trusty power bank. 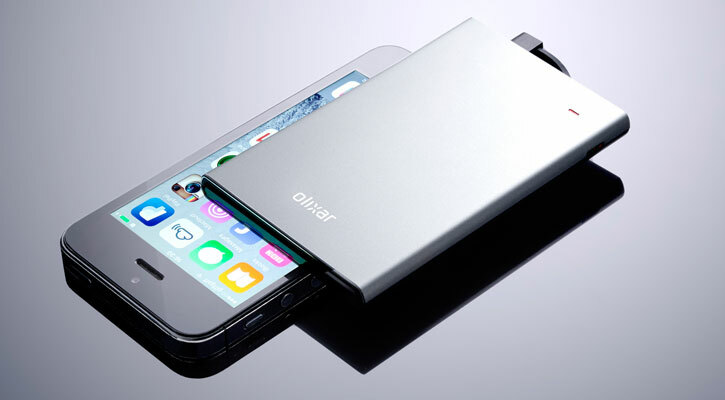 The power bank features a 2500mAh capacity, adding up to 138% of battery power to your iPhone 6 and can significantly boost the available charge available on any smartphone. 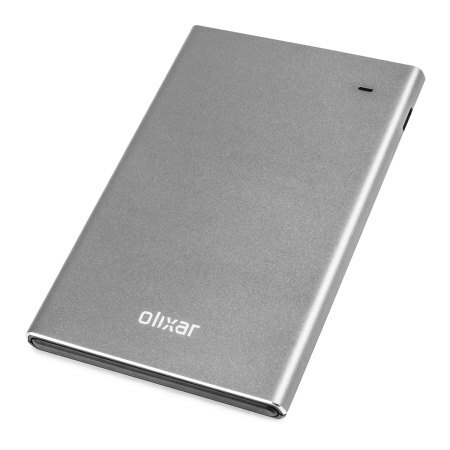 The Olixar Powerwallet is not much larger than a standard bank card and only 9mm thick, which makes it incredibly easy to carry in your wallet, pocket or bag for emergency use and the built-in LED indicator details the power bank's remaining battery capacity. Let's face it, cables are essential yet they can be awkward, get in the way, tangle and be a extremely untidy to look at. So what a great bonus it is to be able to have the cable adjusted to the length you need - no more, no less? 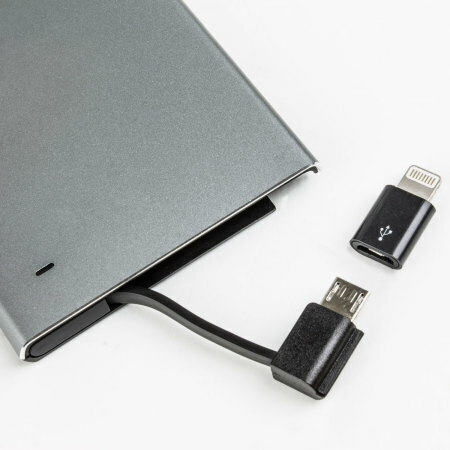 Simply take as much of the 1m long cable as you need to connect your devices together and when you're finished, it retracts back into one handy size package. 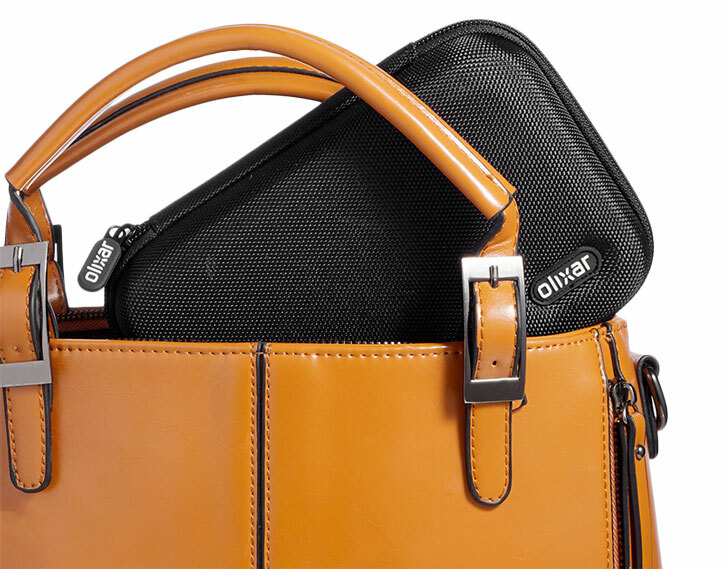 Perfect for storage and mobility and even better the kit includes two! 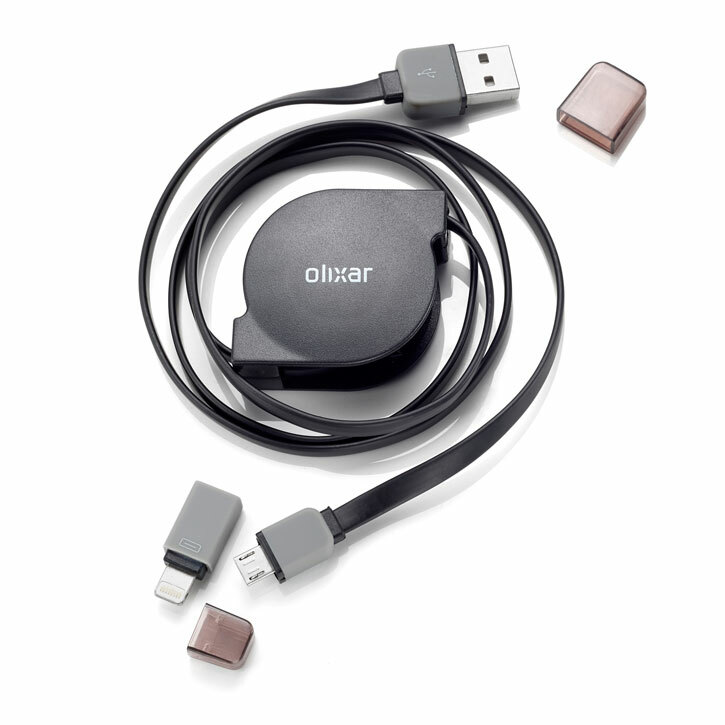 Working in conjunction with the retractable mechanism, the Olixar's flat cable design makes using the cable easier than ever and retracting the cable back into the housing a breeze, allowing you to make untangling your cables a thing of the past. 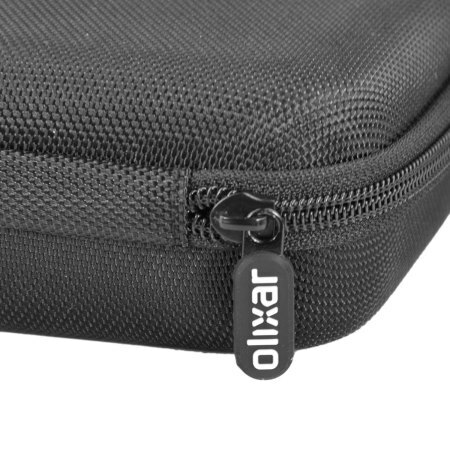 The protective caps also ensure your cable's connectors remain in top condition. 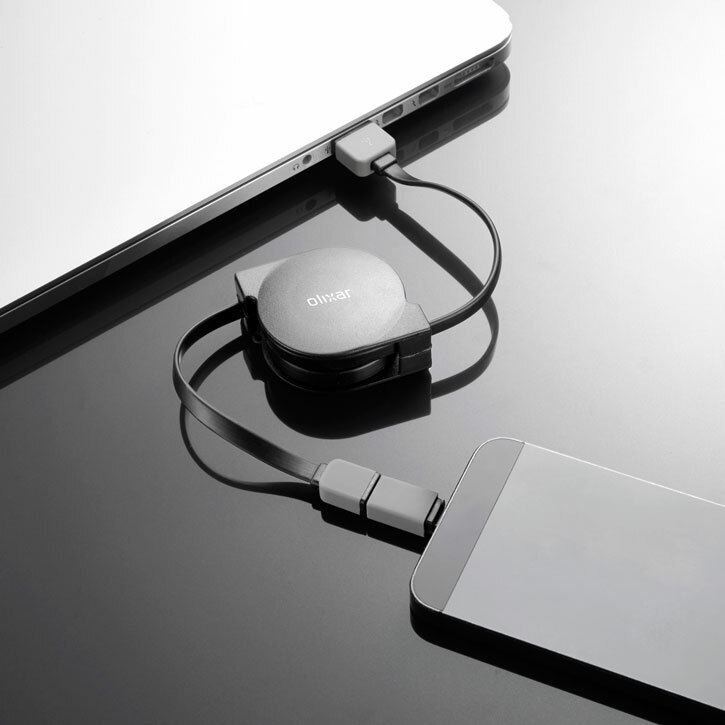 With Lightning and Micro USB connections, supporting super-fast charging and if that wasn't enough - when connected to a computer, you can also synchronise data while you charge your device. 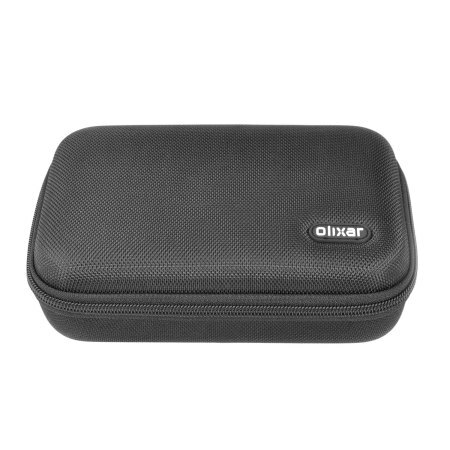 Store all of your Olixar accessories in a secure safe place with the included travel case. 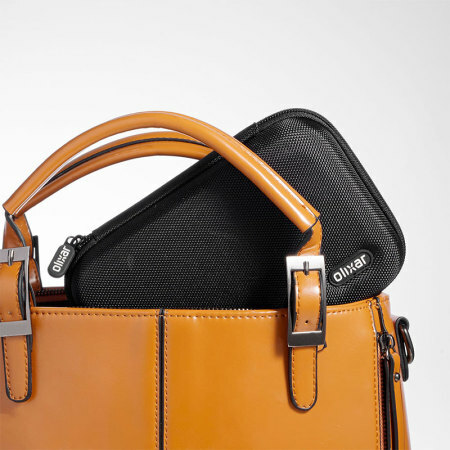 This ensures your mains travel adapter, power bank and two non-tangle retractable cables are kept together while also perfect for carrying them on your worldwide adventures.